Forum Questions › Category: Questions › Weapons in SPM? I think I’ve only seen in your book a staff method, maybe a broadsword in one of the festival videos. Are there other weapons? 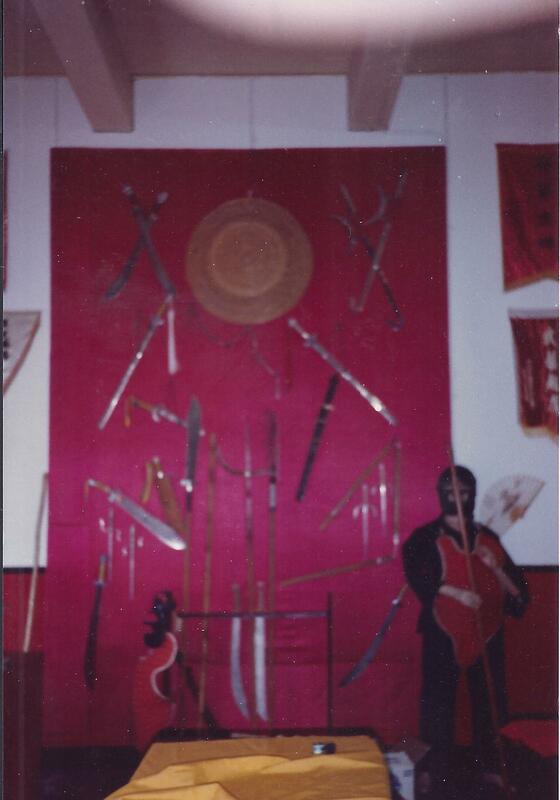 Here is a picture of Mark Foon Sifu’s weapons wall, 1980. We say, when the hand is skillful, anything becomes a weapon. Traditional weapons are staff, sword, broadsword, sai.